Potomac Yard at its best! This 3 bedroom + den/3 full/2 half-bath home with 2 car garage is an entertainer's dream, with open-plan living, kitchen, and dining and a breakfast balcony large enough for bistro table and grill! 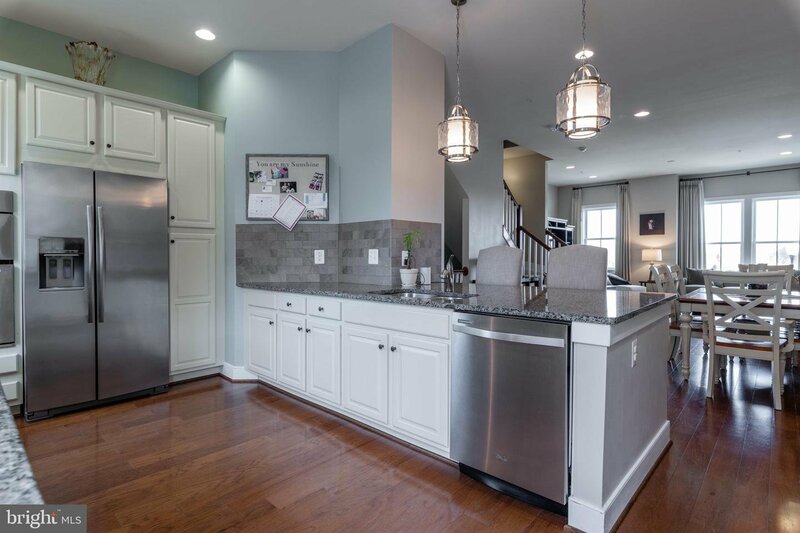 The gourmet kitchen boasts stainless steel appliances, integrated gas range, separate wall oven, wine fridge, and enough counter space, in granite, and storage to make any chef envious. The king-sized master bedroom features walk-in closets, modern arabesque wallpaper, cool grey window treatments, and marble-tiled master bathroom with double vanities and separate w/c. Two additional bedrooms, a full bathroom, and upgraded side-by-side, front loading laundry complete the sleeping level. Crowning the home is a 4th floor bonus level, great for entertaining or as a private retreat with full bath, dual indoor/outdoor gas fireplace, and sunset roof deck that's likely to see a nightcap or two with a wet bar just inside. Other upgrades include main level stone wall, upper level rustic wood wall, wainscoting, and dual-zone, smart HVAC system. With access to outdoor amenities across the street, shops, bars, and restaurants of National Landing, Old Town Alexandria, and Del Ray, plus a short commute to the Pentagon and DC (Metro station coming soon! ), what more could you ask for?